Steady volunteers can be a great asset to an organization. 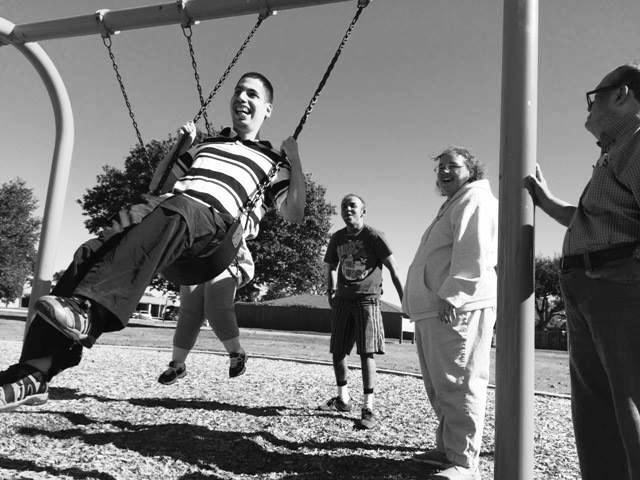 At Emma's Education Center, we believe that we change awareness of special needs adults one volunteer at a time. Some find that this is not their cup of tea, and that's okay. Not everyone is meant to work with our students. Others keep coming because they get attached to our students and know that they are making a difference. Emma's Education Center has teamed up with a few organizations to accept regular volunteers and community service volunteers. Community service volunteers have been pre-screened by their agency and have been given our information in order to complete their hours. In order to keep from receiving numerous phone calls during the day regarding volunteering, this page has been set up. We work one on one with our students and cannot take the time to answer phone calls or return messages to those seeking community service hours. Please understand that it's because any time taken away to give our information, etc., takes away from our students, which are our priority. --We currently do not accept those who have any type of CPS related, family violence or sexual misconduct in their backgrounds. This is for the protection of our students. --No cell phones permitted during your service hours. You will be asked to engage with our students if you choose to sit around and do nothing. We need your help. --Volunteer hours are Monday through Friday between the hours of 8AM and 4PM. You may serve any hours within this time frame. However, to volunteer on any day, you MUST check in before 9AM. --Those who come for those hours are given a half hour lunch break that is not counted against their time. --To begin volunteering: Come to the Center at 2121 Northwest Hwy Suite 119 in Garland prior to 9AM.. We are at the intersection of LBJ and Northwest Hwy in Garland, in the Capital One parking lot. You can speak with any staff member. --Please note that our students are curious and are learning social skills. Therefore, they may invade your personal space until they get to know you. They are not aware of personal bubbles and a few of our students like to greet strangers. They are not aggressive and there is no reason to be afraid of them. However, since most are not verbal, it can be an experience that is quite different from what you are expecting. --On your first day you will be asked to fill out a one page volunteer information sheet. This is so we have record of you. Also on your first day, we will let you get acclimated by allowing you to get to know the students. --Lunch is from12:00 PM - 12:30 PM for those volunteering over four hours. You may bring your lunch with you or there is plenty of food establishments around the Center. --You will be asked to log in your time and sign for it, so that we have record of your hours. Your time sheet is for you to keep and will be signed at the end of your shift each day by Miss Q. --If you commit to volunteering for multiple days, we will expect you on those days. If we do not see you after three weeks without any head's up, your form will be discarded and you will be asked to volunteer elsewhere. This is for the safety and protection of our students as they tend to get attached to those working with them. That's all there is to it! There is no waiting list or hoops to jump through, but you will be expected to serve while you are here. It's not always easy work, but it is satisfying work!